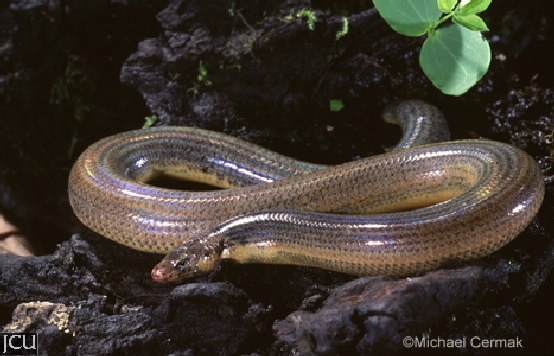 This legless burrowing skink is usually found under logs in rainforest. The slender body, which has similar measurements throughout, is medium to dark brown in colour with obscure streaks which in the juveniles are prominent; belly is white to cream. In the juveniles the head is white.